St. Croix combines all the best of the Virgin Islands. It is more laid back than neighboring St. Thomas, and a few paces faster than St. John, its two sister islands. As a U.S. territory, St. Croix offers U.S. investors many advantages — U.S. laws and jurisdiction, the same currency, English as the prime language, no restrictions on U.S. ownership, and the security of a stable, democratic government. St. Croix is located 1100 miles southeast of Miami and 1650 miles southeast of New York City or approximately 90 miles south of Puerto Rico, surrounded totally by the Caribbean Sea. The island is 84 square miles in size occupying approximately two-thirds of the total land mass of the U.S. Virgins, measuring 23 miles long and 6 miles across at its widest point. This location blesses the island with near perfect weather averaging 72° – 82°F. year-round with constant cooling trade winds, sparkling blue green seas, and white sandy beaches. 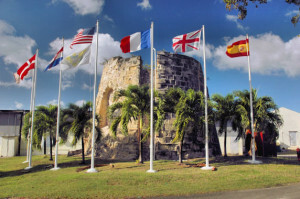 The first tourist to arrive in St. Croix was Christopher Columbus in 1493. Columbus claimed the islands for Spain and named the largest island “Santa Cruz” meaning Holy Cross, which later changed to St. Croix by the French. The flags of the seven nations have flown on St. Cro ix, thereby adding to a diverse cultural heritage among its people. In addition to Spain, the other countries were Holland, England, France, the knights of Malta, Denmark and finally the United States which acquired the islands in 1917 as a means to protect the Panama Canal. The Danes acquired St. Croix in a smart move in 1733, leaving a strong legacy of architecture and urban planning still evident today. The current population of 60,000 includes a human potpourri of locals, U.S. transplants, other islanders, Europeans and Middle Easterners, creating a wonderful mixture of lifestyles. Small inns, elegant resorts, West Indian cottages, rental villas, condominium properties, and waterfront hotels offer the traveler or potential purchaser a variety of accommodations to suit any budget. 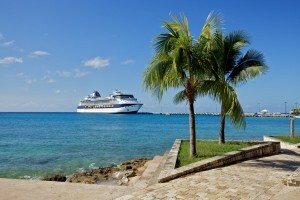 St. Croix is also a great place to settle down, even as a seasonal owner. And the two towns of Christiansted and Frederiksted (note the Danish influence) offer their own unique charms. Though Christiansted is the busier of the two, Frederiksted boasts the deep-water port for cruise ships to dock and offers western sunsets. Both towns have their share of duty free shopping and businesses, as varied and competitive as any in the Caribbean, though somewhat dignified and calm. The island has superb restaurants, white beaches, varied terrain and landscape in a town and country lifestyle setting. The best part about island living is you can wear the same clothes year round. Yes, you need a sweater for those cool winter nights and you’ll probably need more bathing suits than you did, but your clothes budget should definitely shrink. Leave your gobs of make-up and cans of hair-spray at home! You dont need it here! Relax! Get a bit of sun on your face, put a hibiscus in your hair, tie on a sarong and off you go!